이동식 플로루미터 | Medimax Korea Co., Ltd.
이동식 산소병에 연결하여 산소의 유량을 인위적으로 조절하여 환자에게 공급하는 장치입니다. 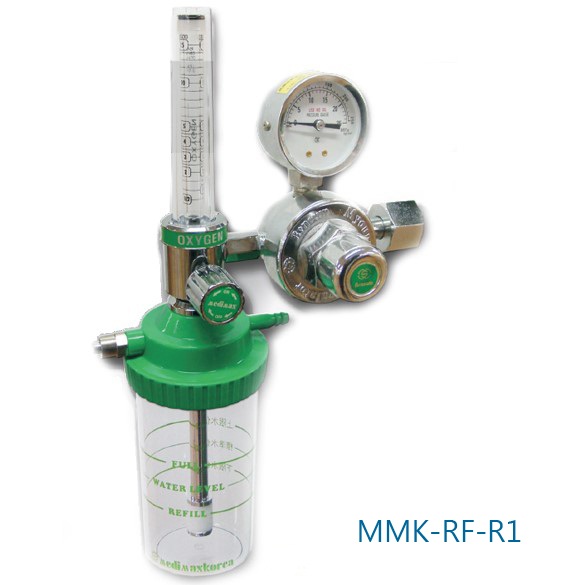 Single-stage Oxygen pressure regulator with a flowmeter and humidifier. 안녕하십니까? 메디멕스코리아 홈페이지에 오신 것을 환영합니다. Copyright 2014 MEDIMAXKOREA. All Right Reserved. Produce by EC21.